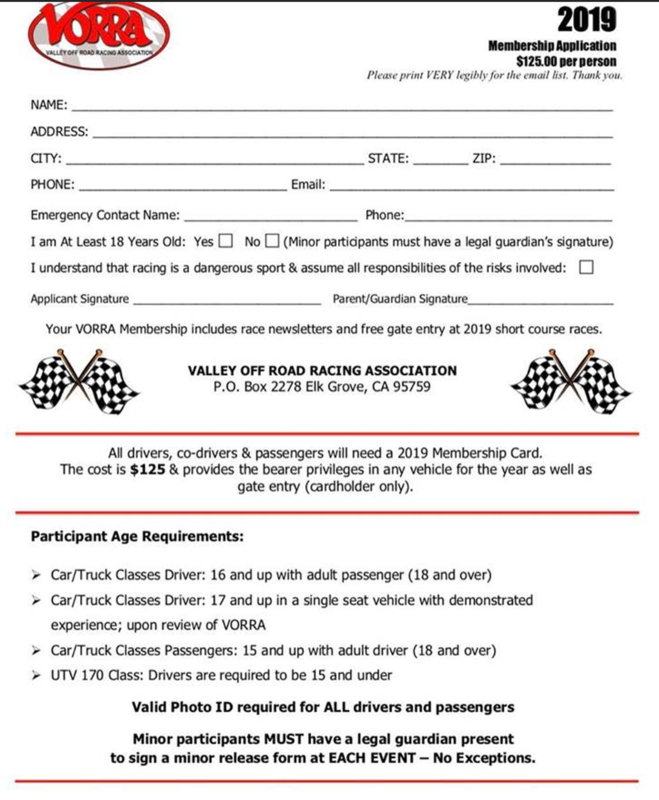 Reno Off-Road is proudly offering contingency awards for VORRA Valley Off-Road Racing Associations 2019 race series. Contingency for EVERY CLASS & RACE in the VORRA 2019 race season. Cash Payout. Store Credit and/or Dealer Price on select parts. Below are the payout values as of April 2019. We will continue to add to the purse as we get closer to the first race, so check back often, sign-up, prep your car. Contact us for your prep parts. Racers must run ROR Logo on both sides of Vehicle. Required. We strongly encourage teams to submit photos or videos of their vehicle at the race for additional exposure on RenoOffRoad.com and other promotional outlets. Not Required, strongly encouraged. Decals are provided free from ROR. Some may be available at VORRA races during vehicle spec. We encourage you to get one directly from us, in case there are none available at the time of the race. Click here to send us an email and request for us to send you FREE Decals! Email or call Jason Baden at info@renooffroad.com | 775.553.8333 and Jason will verify the results with VORRA. Immediately after verification ROR will provide you with the specified award as outlined in the contingency plan. CASH PAY-OUT will be issued in the form of an official check from Reno Off-Road. CERTIFICATES | STORE CREDITS will be issued electronically as either a coupon code or store credit placed on an account in your name. If desired, you can call in your order and we can deduct the cost over the phone. We expect to see results 2-4 weeks after each race. This is dependent on VORRA as the sanctioned body, so it could be sooner or later. We are not able to award contingency until the sanctioning body announces the results to us for verification. Contingency must be claimed (check cashed, product ordered, or certificate used) within 24 months (2 years) of the race in which the award was issued for. VORRA, BOR, SCORE, MORE, BITD, SNORE, Lucas Oil Off Road Series, WE Rock, Glen Helen Short Course Series, ADRA, ASCC, TORC, ULTRA 4, King of the Hammers, UTV Rally Raid, BRT, EDR , WORCS, TORRA, MORR, SADR, TDRA and many others race organization. Head & neck restrings not mandatory in 2019. HIGHLY RECOMMENDED! Class 10 … 2.5 liter or less, any air-cooled VW engine. 50% for 1st place, 30% for 2nd place, 20% for 3rd place. Payback $20% with 3 entries, 25% with 5 entries, 40% with 8 or more entries. Payback $20% with 3 entries, 25% with 5 entries, 40% with 10 or more entries. 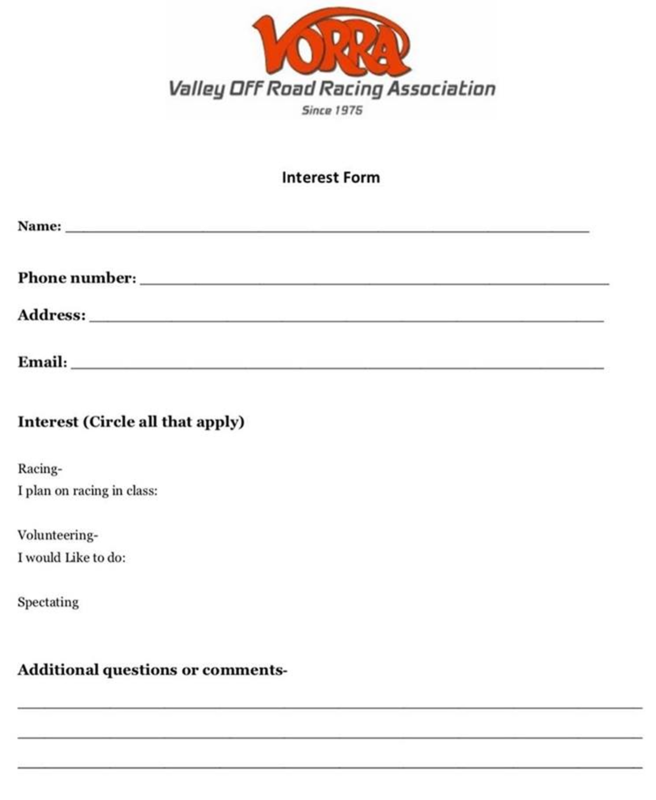 Here is the VORRA interest form and membership application.